This was the best production of the show I have ever seen, gorgeously directed by Ethan Heard. His handling of the final scene of Madame Armfeldt, played by Tony winner Penny Fuller, was hands down the best I have ever seen it staged. Remember his name, I think you will hear a lot about him in the future. In Act 2 of Berkshire Theatre Group’s stirring production of a A Little Night Music, Madame Armfeldt proposes a toast: “To life! And to the only other reality — death!’’ Ethan Heard’s Night Music has a certain emotional eloquence and a lovely dreamlike quality, but Madame Armfeldt’s “other reality’’ is there, too, thrumming beneath the surface. When Baldwin and Soo team up for “Every Day a Little Death,’’ it seems to expand to an existential lament, and you can hear a pin drop inside the Colonial Theatre. A smash sensation for Berkshire Theatre Group. Do not miss it, you’ll be transported to Elysian fields of delight. Pulling this whole magical musical together is director Ethan Heard. A real must see musical. 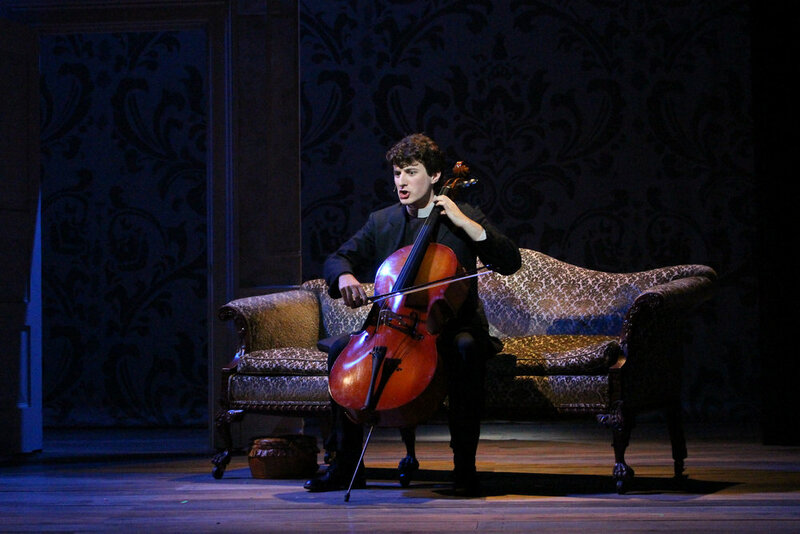 For those fortunate enough to see it, the Berkshire Theatre Group production of A Little Night Music will likely be the highlight of the 2014 summer season. A cast that could open next week on Broadway. Every member – under the stage direction of Ethan Heard – is fabulous. They coalesce to make this a magical, unforgettable theater treat. It is the women who ultimately hold sway in Ethan Heard's handsomely mounted, ably performed production. Egerman hovers around the center of Heard's production which, in its subtle inventiveness, shifts focus to the women, particularly the Armfeldt clan. Heard also has stripped away the traditional formalism surrounding a quintet of singers and given them a lightness of being, and clothing, as they move in, out, through and around the action in elfinlike fashion; spirits who, in their knowing ways, may very well have the biggest smiles of all.